A car fire in the foothills east of San Jose quickly spread to dry brush. Firefighters responded to a car fire that spread to brush Sunday morning in San Jose, fire officials said. 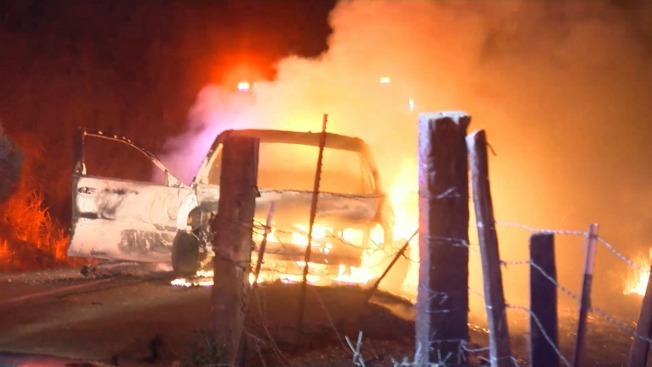 According to a San Jose Fire Department dispatcher, a car fire was reported at about 4 a.m. in the area of Sierra Road and Skyview Drive. The fire spread from the vehicle to some nearby brush. Firefighters arrived on the scene and had the blaze under control at 5:11 a.m., the dispatcher said.